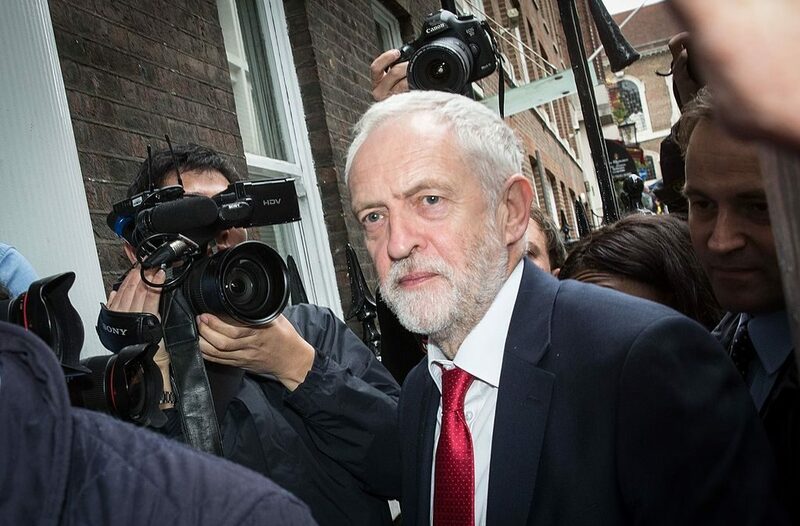 The ongoing fracas over anti-Semitism in the Labour Party – currently swirling around its efforts to redefine the disease – continues to have a definite element of the surreal. While column inches and Twitter threads are devoted to ever-more sophisticated discussions about anti-Semitism’s Left-wing and “anti-Zionist” variants, hacks and politicos demand leadership and enforcement from… a prime example of that very tendency! This case of doublethink is worth exploring, if only to dispel the growing sense of an unwelcome truth being carefully avoided. Consider the facts. In his years of deserved political obscurity, Jeremy Corbyn was known chiefly for his agitation against Israel and American empire. So far so good, you might say. But it seems never to have occurred to Mr Corbyn that one can demand justice for the Palestinians, and oppose the foreign policy of western countries, without making “friends” with murderous anti-Semites. Does anyone believe that this former employee of Press TV and praiser of Hezbollah as a force for “peace and social justice” is capable of making that basic distinction? And does anyone doubt that the reason is ideological? Lest we forget, this is a man who was a senior member of the Stop the War Coalition during its sordid alliance with the Muslim Brotherhood; who was a regular speaker at Iran’s “Al Quds Day” events in London, created to distract attention from the regime’s atrocities; and who offered “tea on the terrace” in parliament to Raed Salah, who spreads the medieval blood libel, and the notion that Jews had prior knowledge of the 9/11 attacks. Anyone hoping for a reformed character once Mr Corbyn became leader of the Labour Party was rewarded with a series of lies, denials and cover-ups. When Ken Livingstone delivered his mad pronouncements about Hitler and Zionism, Mr Corbyn commissioned an “independent” inquiry into anti-Semitism, chaired by a Labour Party member to whom he later gave a peerage, and managed to insult a Jewish MP and compare Israel to ISIS at the launch event for the resulting whitewash. On and on it goes, now with two MPs (one of them Jewish, and both with family members who died in the holocaust) facing disciplinary action for heckling their leader about Labour’s attempts to redefine anti-Semitism. Just this week we learn that in 2010 Mr Corbyn chaired an event in parliament dedicated to the very Israel-Nazi comparisons his party’s definition omits. And still there persists the demand that Mr Corbyn “do something” to tackle Labour’s anti-Semitism problem, in the face of all the evidence that Mr Corbyn is Labour’s anti-Semitism problem, or a major part of it. Though I can’t prove “intent”, (since I can’t peer into his mind, and nor can anyone else), I can say with confidence that the party will continue to be plagued by anti-Semitism so long as Mr Corbyn holds a position of power. For the liberal media – fearful of populist sentiment among its consumers – to question Mr Corbyn’s place as leader, and by implication the wisdom of Labour members and voters, would be a risky move. The pro-Brexit press has its own reasons for not wanting to suggest that voters could be wrong about something important. So despite all the coverage and fiery editorials, and despite all the political arguments and calls for action, there’s an unspoken agreement that everyone will take part in this great pretence. One modest step, then, would be to admit the obvious, which is that Jeremy Corbyn and anti-Semitism are a package deal, and to accept the equally obvious conclusion, which is that a serious call to rid the Labour Party of anti-Semitism is a call to remove Mr Corbyn from office.